All project materials, whether Piping Systems, Inc. procured or customer furnished, are 100% receipt inspected for correctness of size, descriptions, test report review and acceptance, sourcing adherence and quality. No materials are accepted into our material inventory unless signed off by the Quality Control receiving supervisor. 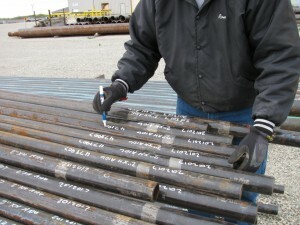 When required for projects with full traceability, a PSI RIN number (Receiving Identification Number) is applied to each piece of material (including transfers for pipe cuts) to guarantee positive traceability to the applicable test report documentation. These RIN numbers are listed for each item on the spool drawings (travelers), and on a master RIN log with the corresponding certifications being included in our project turn over packages. 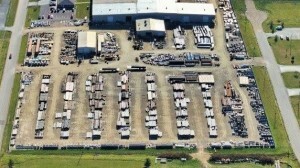 Piping Systems, Inc. has over eight (8) acres of stabilized and graveled lay down area for inventory material storage.